Family Buddy has been raised as an elf at the North Pole. Unfortunately, since he was born to a human mother, Buddy is far too big for his surroundings and he constantly wreaks havoc in his miniature home. Desperate to find people like himself, Buddy leaves for New York City where he learns that his biological father is a penny-pinching curmudgeon whose only concern is his bank balance. Surrounded by people who don't believe in Christmas or indeed Santa Claus, Buddy resolves to bring the magic back to the festive season. 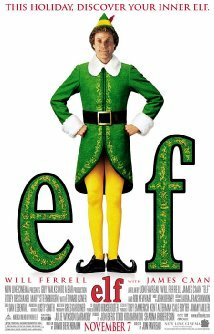 Elf is not currently showing anywhere.